Stefan van der Fluit is a man whose experience in startups and entrepreneurship defies his age. A Dutchman raised in Silicon Valley, Stefan started his first business at just 15- a web design company Nafets Solutions, that he ran alongside his studies. During his 4 years studying Management at The University of Warwick, he continued his entrepreneurial activity with a campus discovery tool, Unibubble. Having been recognised by the likes of HRH The Duke of York, and now being a TEDx speaker, I caught up with Stefan after his recent talk at The University of Bath, to discuss his latest project- Nuklius- and get his opinion on wider entrepreneurial and business issues. Your relatively new startup Nuklius is a service aimed towards other budding entrepreneurs. What was your initial vision for Nuklius, and what does it do? Nuklius is a talent-mapping app connecting people & their skills to projects or startup ideas, within a given network. We help people with ideas find their collaborators and team members; if you haven’t got an idea, we find you projects for you to get involved with which are looking for people with your particular skills. The initial concept for Nuklius came to me whilst giving a guest talk at Warwick, around my previous startup experiences. The main question asked during the Q&A was where I found my (brilliant) cofounder and close friend, Alex Dobinson. Lots of people there had the issue of having ideas, however none of them had the necessary skill set to act on them. This is when it occurred to me that a big reason why people don’t get involved with startups isn’t because they aren’t motivated, or haven’t got good ideas of their own, etc. Its the very simple fact that, alone, they haven’t got all the skills needed. And this is a very normal problem: no one has all of the skills needed to create a successful startup. If you look at all the fantastic companies now, they all have one thing in common and that is that they were founded by teams. I fundamentally believe that startups drive true social and economic innovation, so to me, the more people we could help act on their ideas, the better. This was the initial vision for Nuklius - now it has evolved into something a bit larger; we want to become the platform for the future of work, where we see the future to be moving from “I’ve had x amount of jobs” to “I’ve been involved with x amount of projects”. Now knowing what you are an expert in, how can we find you projects for you to work on, whether they are in your organisation you work for or external to it, which match your personal interests and passion. This helps employees create a more motivating and stimulating career for themselves, essentially empowering them to steer their own careers, internally. For the organisation, their benefits include increased talent retention, quicker access to talent which speeds up their innovation processes, cross-departmental collaboration which is key when it comes to innovating, etc. 50% of our time on this planet is spent working. We believe you should enjoy every minute of it and have a say in what it is. Having been an active entrepreneur from such a young age, you must have learnt a lot of lessons about entrepreneurship- which one lesson would you say is the most important, and how did you learn it? I would say the most important lesson I have learnt is to not be afraid of sharing your idea with others. There seems to be a sense of paranoia amongst many starting entrepreneurs where they believe that their idea is the next big thing, and therefore defacto, is worth millions already. After having been through the ring a couple of times, its safe to say that ideas on their own, are absolutely valueless. It is all about the execution of your ideas. In order to successfully execute, you need to share your idea, to first of all see if it is something people are looking for - will what you are intending to create resonate with those you are creating it for. This is impossible to do, if you are not willing to open up about your idea. To address the paranoia of “stealing ideas” I wanted to share this anecdote. A professor of mine at Cambridge, Simon Stockley has been in the startup sector for 15+ years, and not once has he seen an idea be stolen. Why? Because there are two types of people in this world. One, those who are too lazy to act, and the second; those who are not lazy and therefore are already working on their own things (and don’t have the time, even if they wanted to, to copy yours). Ideas are unique to the person they came from; you cannot copy this. I may give you an idea where you can probably make out steps 1,2 and 3 but I, because its my idea see step 1-100. So if you have an idea, the best thing you can do is act on it, get it out there and see if its worth pursuing. One small addition to this: just because it is your idea, do not expect this to be a valid reason to retain 80+% equity within your startup. Your cofounders are key to the success of your business, so they should feel adequately motivated and have the representative ownership position to validate their risk, etc. Technical cofounders are not ‘resources’ as many business people see them as, they are incredibly talented, creative and hardworking individuals who add just as much value as the sales/marketing/business development cofounder. I guarantee you, that if you consider technical talent to be a resource to “go build this for me” - you won’t get very far. How do you think your childhood in Silicon Valley has influenced your mindset and outlook on business? Great question and to be honest I think it doesn’t really have to do with where I grew up, rather who raised me (Also I was quite young during my time in the Valley). My parents have always encouraged us as children to not be bound by what we perceive our ‘limitations’ to be, or what others “tell” you are your limitations. This really helped when I decided to found my first company at 15, rather than being told that its daft, or impossible, etc. they simply said, sounds good - go do it. Since both of my parents have spent their careers in the technology space, all of our dinner conversations were always evolving the latest and greatest within the industry, from this I developed a deep love and respect for technology as I saw first hand how it was created, who was behind its creation, etc. I must admit, it is a bit surreal growing up in an area where you have so many ‘idols’ in one place. When I was a kid we used to trick or treat in Steve Jobs’ neighbourhood (his wife was the one to open the door and pass the candy), my sister was best friends with one of the daughters of an ORACLE cofounder, so we would regularly spend time with his family, etc. Which companies or individuals inspire you as an entrepreneur, and why? I have a lot of respect for anyone who takes a concept from nothing and grows it out to something for others to benefit from. Having been involved with this process for a couple of years now, you never can truly realise and respect how tough and challenging this journey is, until you yourself try it as well. I am very much inspired by companies whom are design driven; design not purely in its aesthetic meaning but also how a product or service gets created, around and for the individual they are targeted for. Good design, with all these elements combined is incredibly difficult and hard to pull off. 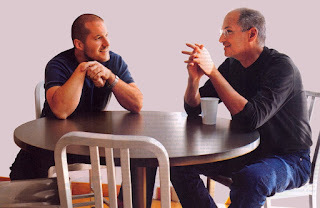 Apple, Square and IDEO are companies that I take a lot of learnings from as well as their respective founders, Jobs, Dorsey and Kelly and Jony Ive (not an Apple founder, but a lot of their current success lies with his genius). One entrepreneur I deeply respect and admire is John Mackey, the founder of Whole Foods. Reason being is his deep respect and understanding for the social responsibilities of business (he also coined the phrase conscious capitalism) as this is something which resonates deeply with myself. I think that for a long time, since WW2 the majority of organisations have been focused around maximising profits and seeing this as the primary metric of a successful business (Friedman Doctrine) whereas I think its quite clear that in order to be a successful business you also need to consider social contributions and your responsibilities to the communities in which you operate, your supply chain, employees, etc. Not only is it the right thing to do from a moral perspective; its actually proven to make good business sense too. One of your most popular talks has been the one you gave on the topic of ‘Conscious Entrepreneurs’. Could you summarise what a ‘Conscious Entrepreneur’ is, and why the world needs them? Great question- and I'm glad you enjoyed the talk! To me, a conscious entrepreneur is someone who has a certain perspective of what a business and its purpose is. Rather than seeing it as a profit machine a conscious entrepreneur sees a problem they are passionate about and seeks to address it through setting up a business/venture. The conscious entrepreneur's vehicle of driving change is through a company, as you can have significantly more impact as an organisation than you ever could on your own. Conscious Entrepreneurs set off to create value, not only for themselves but for everyone involved in their business operation; from their suppliers, to the end user. They see a business with a more holistic perspective and incorporate values and a culture of openness, transparency, do-good, sense of belonging for this working in the organisation, etc. One key thing to remember is that conscious entrepreneurs are no different than any other business person, meaning they are most definitely in it to make money - however the purpose or meaning of money is perceived as not the end goal, rather a tool to build more value with. According to Fortune Magazine, for every start up that succeeds, there are 9 that fail- what do you think are the most notable differences between a startup that fails and one that succeeds? There are unfortunately way too many factors involved with the success of a venture (speaking to the right people, timing, the founding team, raising capital, the product, the marketing, etc.) that its not all too easy to pinpoint the main differences - though one thing I have noticed and something you probably hear all the time, is the importance of the founding team. Having the right people, people who are not only skilled and passionate about what it is they are doing but are also flexible in their ways of working, meaning that they don’t bend at the first sight of setbacks, that they are willing to make changes to their approach if need be, that they are stubborn in the sense that they keep pursuing no matter how many times you are told it won’t work. I’d actually like to stop and focus on this point as this is an important lessons I have recently learnt; there is no universal truth. What I mean by this is that no one in the world can tell you whether you idea is a good or bad one with absolute certainty. Its no one’s place to tell you whether its worth pursuing or not; only you can, the founders. All else is just peoples’ opinion, that’s it (some opinions are backed up by experience, but they stay opinions none the less). The only way you can find out if something isn’t worth pursuing, is through trial and error. Thats what entrepreneurship is all about. Lots of trial and error. This is why it is so crucial to truly believe in what it is you are doing as otherwise, with all the nay-sayers out there, you will most likely give up. Believe in yourself and what you know, don’t be afraid to call yourself an expert (as honestly, if you work 13-14 hours a day for two years straight in a particular field, you wouldn’t be wrong to do so) and don’t be afraid to kick back and tell people, who might be older and more experienced than you, that they are wrong. It is not uncommon to hear every once in a while that this whole startup movement is just a bubble about to pop (á la dot com bubble). Do you think the future is bright for startups like yours? Honestly I do not think about these things. Sure there might be a lot of “first world problem” solutions out there which after a period of time people might turn around and think do we really need this in our life…but as long as you are creating something which solves a true problem, you will always be needed. This is why our team focusses on building something which addresses a true pain point. As an entrepreneur, always try to be a pain killer rather than a vitamin. Stefan's latest startup Nuklius is open for investment for a limited time on Seedrs. Click here to find out more about how you can become a part of his journey.